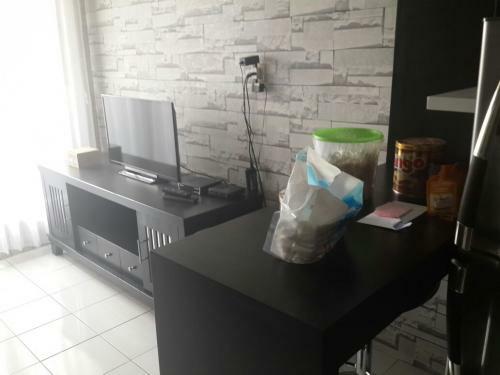 Condition: Full furnished with WiFi internet access & Television Cable (First Media), 2 units AC, kitchen set with cooker hood, stove & LPG tube, refrigerator, dispenser, 2 spring beds, 2 cabinets, dining set and sofa bed. 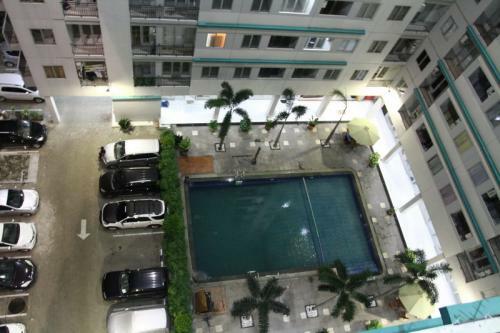 The unit is located on 3rd floor with nice view to the swimming pool & garden and very easy to access either from the lift room or staircase. 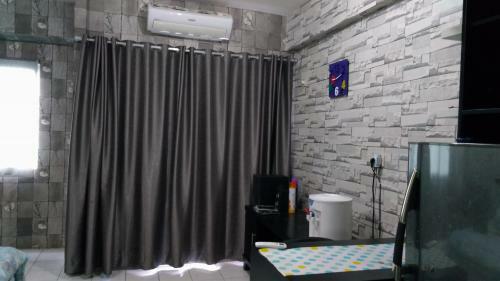 Facility: Swimming Pool, Automatic Teller Machine (ATM), Security 24-hrs, Finger Print Entry System, Water PAM, Lots Parking Area, Convenience Store, Restaurants, Mini market, Mosque, Receptionist. 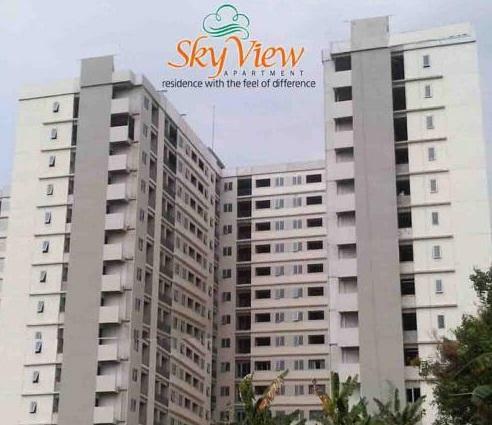 Additional Info: The Sky View Apartment is located in strategic location in BSD City with only 5 minutes to JORR (Jakarta Outer Ring Road) Toll gate to direct access the Airport & Jakarta city. 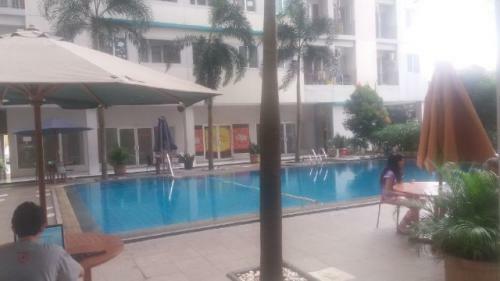 Easy on access to and from most of buildings & interest places in BSD City. 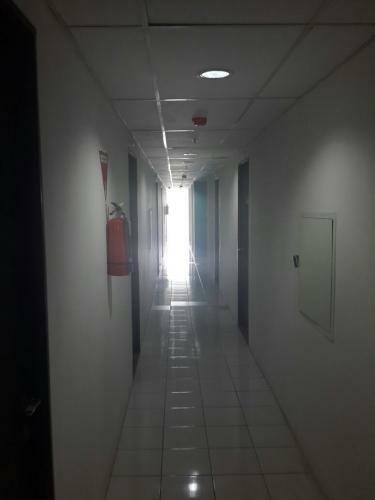 Just 10 minutes office & business centers on Taman Tekno Industrial Estate. 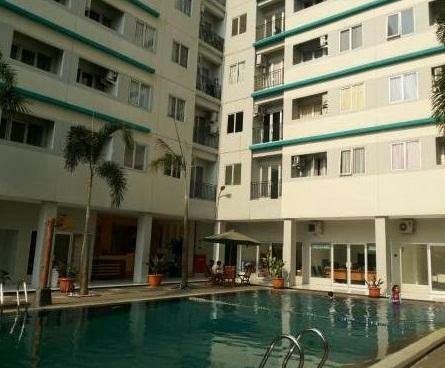 Close to BSD Market Place (Pasar Modern), just in front of the city garden (Taman Kota) for jogging & outdoor sport activities. Near to favorite Universities: IULI (International Unviversity Liaison Indonesia) , Prasetya Mulia University, Swiss Germany University, Binus Multi Media Nusantara University). 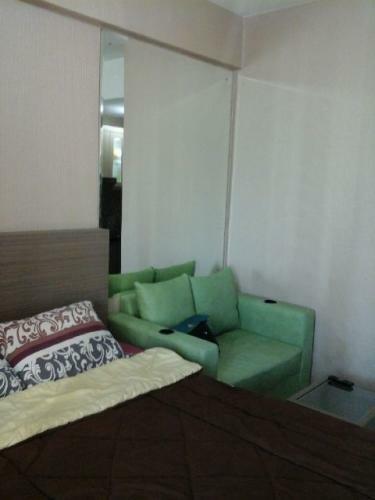 Near to famous shopping centers (AEON, Teras Kota Mall, Giant,ITC BSD & Carefour). 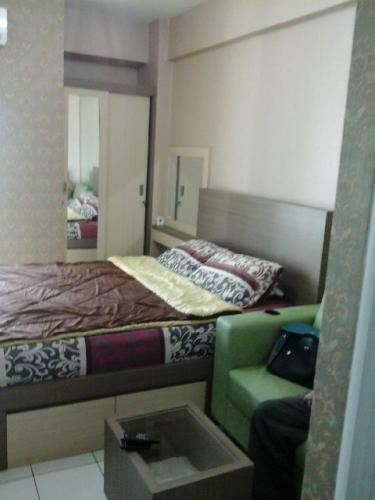 Near to some star Hotels in BSD City (Santika BSD, Grand Zuri, Pranaya, Pop Hotel, Atria, Ara, Fame, Mercure Alam Sutera). 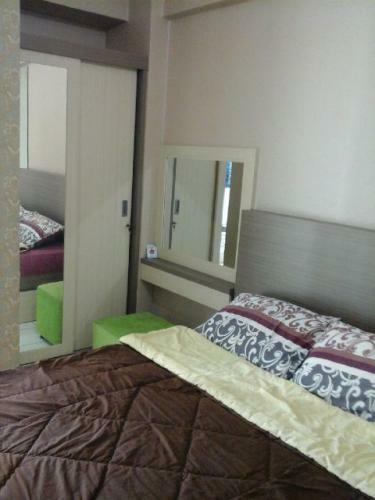 Close to recreation centers (Damai Indah Golf Course, Ocean Park & the Breeze and various restaurants are in within walking distance). 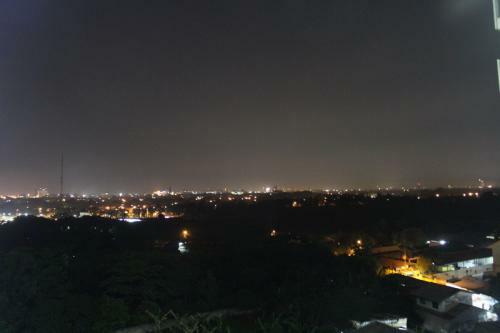 Close to Eka Hospital. 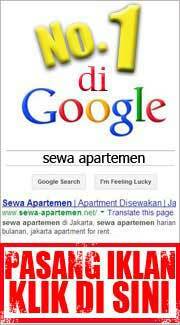 It’s secure place with just 400 meters from Polsek Serpong (Police Office) on Jl. 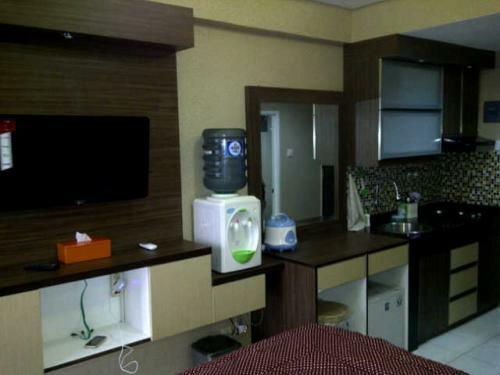 Jendral Sutopo BSD City Serpong. 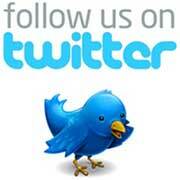 Easy to reach by public transportation by medium & small bus. 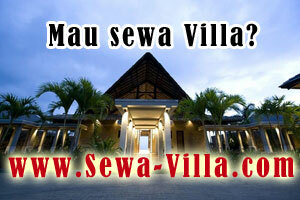 It is located in the surrounding luxury housing estates in BSD as like Taman Giri Loka, the Green, the Latinos, Nusa Loka. Excluded service charge, First Media and electricity cost. Condition: Fully Furnished. 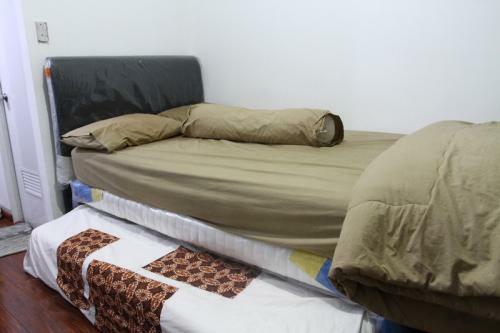 Spring Bed 3 in 1, AC 1PK, LCD LG 42 inch, Microwave, Kulkas, Dispenser, Lemari Baju, Rak Piring Gantung, Magic Gear Nasi, Gantungan Baju, Tempat Baju Kotor dan Jemuran Baju. 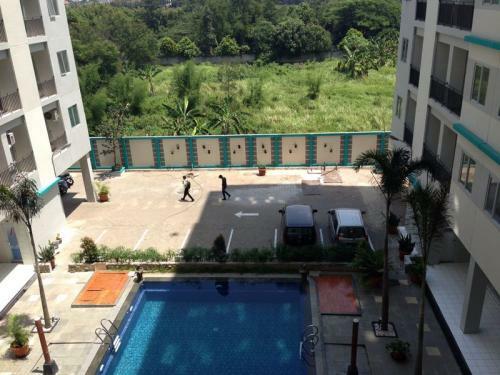 Facility: Fasilitas Air PAM, Kolam Renang, Mini Market, ATM, Parkir, Mesjid. 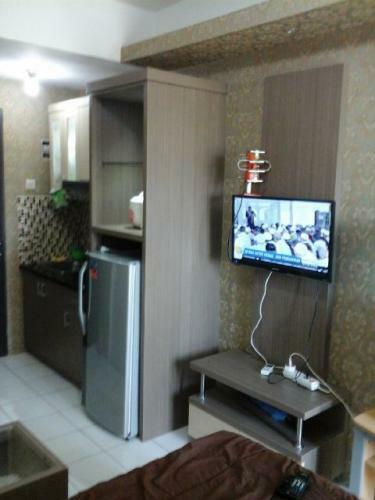 Apartemen Pertama di BSD, Skyview, Dekat Nusa Loka. 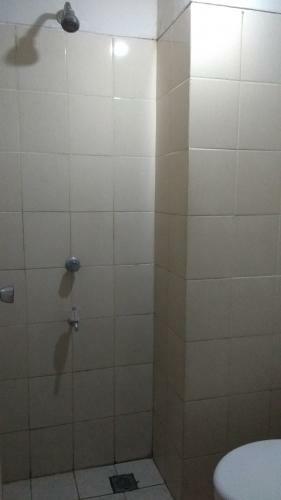 Lokasi di Jl. 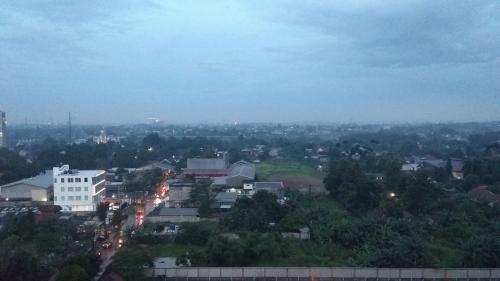 Lengkong Gudang Timur, Masuk dari Jalan Raya Letnan Sutopo (Lingkar Luar Timur BSD) dari Polsek Serpong Belok Kiri, Hanya 400 meter dari Jalan Letnan Sutopo, Tidak Ribet Harus Jauh-Jauh Masuk ke Pedalaman. Jalan Masuk Pun Beton, 2 Arah, Tidak Rusak dan Tidak Banjir. 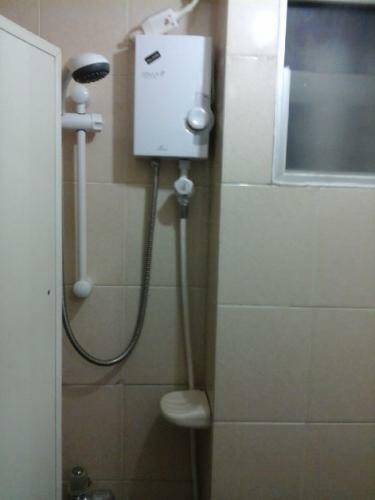 Akses Nyaman, Ada Angkot. 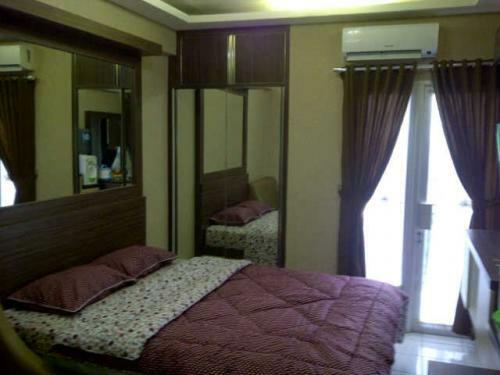 1 Km dari Pasar Modern BSD, 3 Km dari Teras Kota, 3 Km dari BSD Junction. 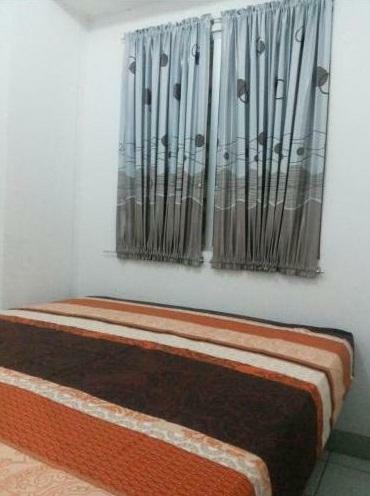 Fully furnished apt with 4 bed spaceS, very clean with good quality furnishing from IKEA AND INFORMA. 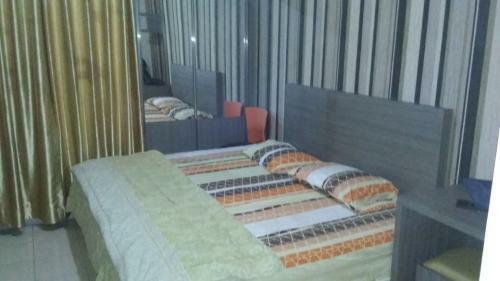 BR 1, Queen springbed Comforta, wall cabinet. 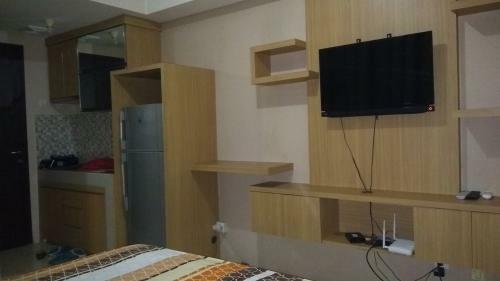 BR 2, singgle drawer bed springbed comforta, wall cabinet. 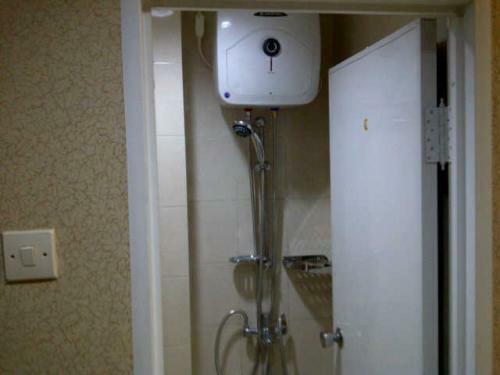 Bathroom with shower and water heater ariston. 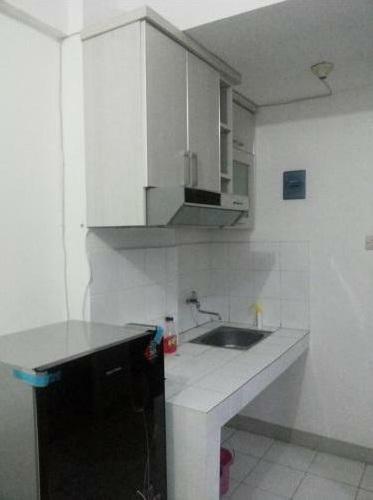 Fully equiped kitchen, Cabinet, electrik stove, flexible tap, one door fridge,microwave, elektrik kettle, toaster, pots and pans, cuttelery and plates. Indonesia Convention Exibition 10 minutes away, 10 km. Pasar Modern BSD 2 km, there is small bus goes to pasar from the apt. Restaurant, police station, petrol station nearby. 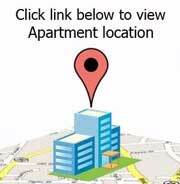 Available TV Cable and WiFi (at unit) (subscription fees by the tenant). 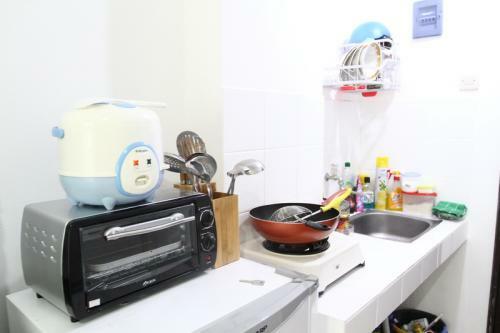 Available Cleaning service for unit (subscription fees by the tenant). 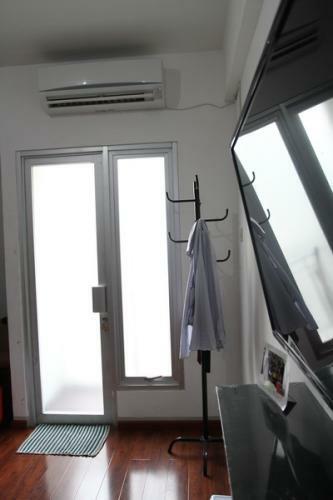 Facility: Access fingerprint, 24-hour security, swimming pool, restaurant, ATM, parking, receptionist, minimarket. 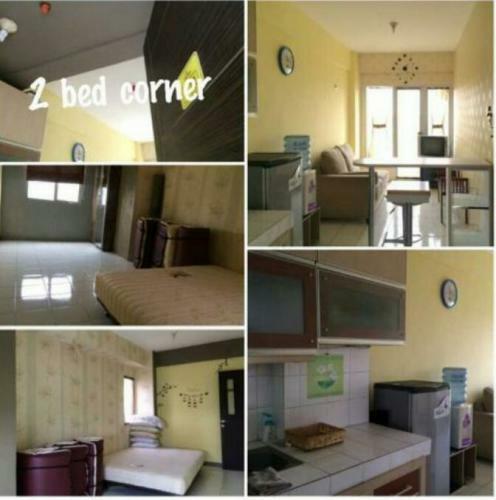 Additional Info: First apartment in BSD City, dekat dengan Giriloka, Nusaloka, Pasar Modern BSD, Teras Kota, BSD Junction etc. 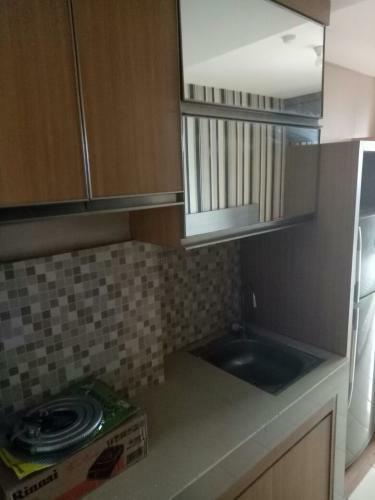 Masuk dari Polsek Serpong (belok kiri), masuk tidak terlalu jauh (hanya 400 meter). Akses nyaman (tidak banjir dan jalan tidak rusak), transportasi umum mudah. 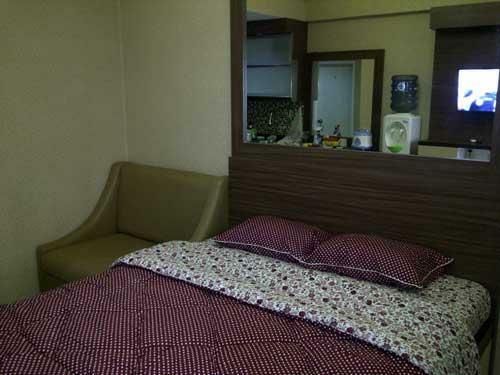 AC, TV cable, Wi-Fi, spring bed, kulkas, kitchen set, shower bathroom. Condition: Fully furnished. 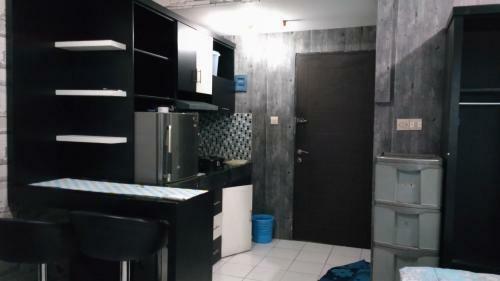 Kitchen set, tempat tidur, meja, lemari, sofa, TV LCD 29 inch, kulkas, AC dispenser, water heater, kamar mandi, full wallpaper, lengkap deh pokoknya. 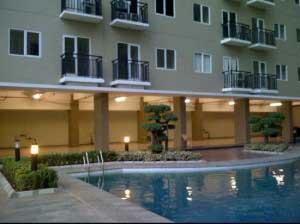 Facility: Access fingerprint, 24 hours security, swimming pool, Restaurant, ATM, parking, receptionist, minimarket. 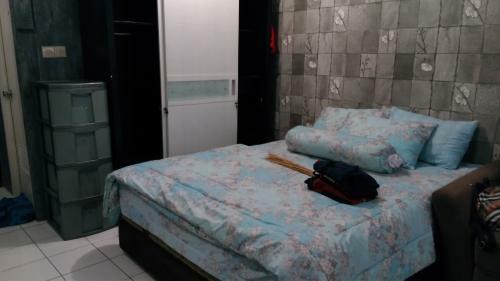 Studio (21 m2): Spring Bed (160 x 200), AC, TV LCD, Water Heater, Cupboard, Dispenser, Gas Stove Portable, Refrigerator, Dining Table (with Cuttlery and Cooking Tools). 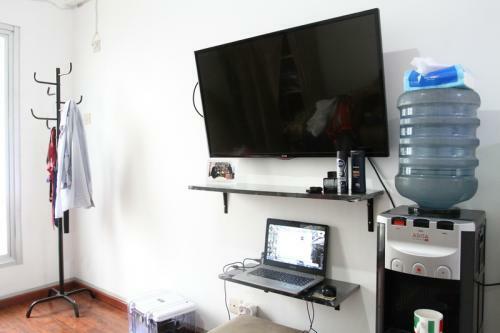 Big Studio (31 m2): Spring Bed (180 x 200), AC, TV LCD (32″), Water Heater, Big Cupboard and Cupboard Built-in, Dispenser, Gas Stove Portable, Refrigerator, Dining Table, Kitchen Set with Cooker Hood, Cuttlery and Cooking Tools. 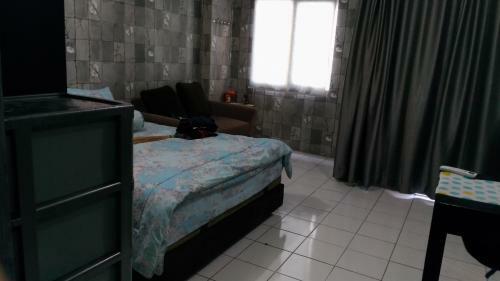 2 Bedrooms: Spring Bed, AC, TV , Cupboard, Dispenser, Gas Stove Portable, Refrigerator, Sofa, Cuttlery and Cooking Tools. 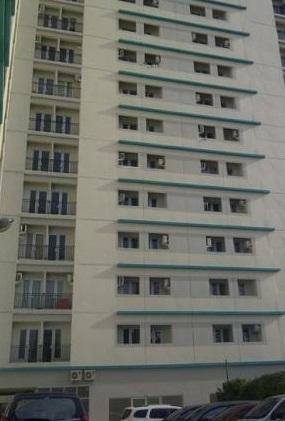 First Apartment at BSD. 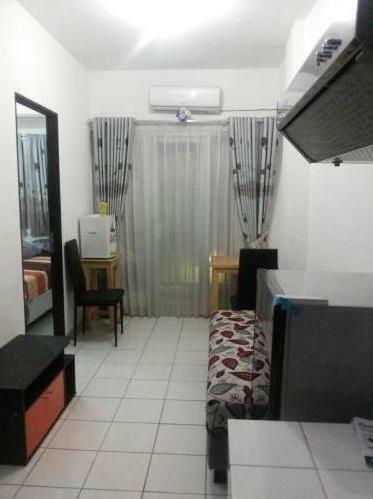 Location near Auto Part BSD, pasar modern BSD.